Foreigners looking to invest in the boisterous property market in Selangor would definitely be deeply disappointed with the new stance taken by the state recently. While the past few years saw vociferous foreign investor activity in Malaysia’s real estate market, especially in Selangor, recent changes may turn things around. 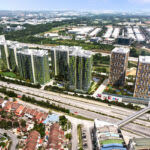 Under the new guidelines which come into effect for sale and purchase agreements signed after September 1, foreigners, permanent residents (PR) and foreign companies can only buy residential properties priced at least RM2 million in areas categorised as Zone 1 and 2, and at least RM1 million in Zone 3. Foreigners are also not allowed to purchase landed properties (unless it is in a gated community with Landed Strata title), or those sold by public auction and no more than 10% of non-Bumiputera units can be sold to foreigners under the new guidelines. In the government’s move to curb property speculation, and to give priority to local property buyers, this new set of guidelines, though not in line with the restriction announced in Budget 2014, does not come as a huge surprise. With the already sluggish property market, these new guidelines, though have no impact on Malaysian buyers or investors, they do affect the certain property markets within Selangor. With most developers diversifying their developments beyond Selangor, and almost none that cater solely for foreigners, the new guidelines would only affect them minimally. 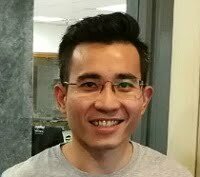 CIMB Research head Terence Wong said to The Malaysian Insider, the new restriction “should not have a significant impact on developers”, and noted that there were not many developers who were hugely exposed to Selangor and who sold property to foreigners at the same time. Experts estimated not more than 10% of properties in Selangor are owned by foreigners, the new guidelines will not make a huge impact on the market. With most foreigners preferring hotspots like Penang (who have also placed similar restrictions earlier), Iskandar Malaysia, Mont Kiara and also the Kuala Lumpur city centre, the added restrictions in Selangor will likely not affect them too negatively. Though it does make the property market less attractive to foreigners, the effect on local ownership and also opportunities for the local is not clear to most. With the Penang government introducing similar strict property regulations to curb speculation, the Selangor government’s proactive move should be viewed positively. Though the impact on local property buyers may not be immediate, in the long run, we may see the property pricing stabilise, if not drop. As the property market has always been boosted by the demand, with demand diminishing slightly, there will be an oversupply of properties. Developers may need to re-evaluate the type of properties they are developing in order to meet the demand of the local genuine buyers. However, the new guideline seemed to contradict the country’s initiative to promote Malaysia as a second home to foreigners. Andy Davison, chief executive officer of the Expat Group, an organisation assisting expatriates who come to Malaysia under the Malaysia My Second Home (MM2H) programme, were disappointed with the new regulation on foreign property ownership. 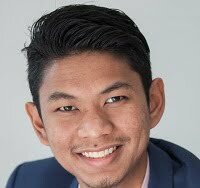 “It seems Selangor is changing its attitude to foreigners, they used to have some of the lowest minimum prices for foreigners to purchase but now they have the highest. “It’s not clear why they have changed their position and it is disappointing,” said Davison. However, it may not affect the MM2H programme too badly, as there are other hotspots outside of Selangor that are attractive to foreigners looking to buy a property in Malaysia. The circular containing the changes released by the director of Department of Lands and Mines Selangor, Datuk Kamarulzaman Jamil has received criticism from industry experts for going ‘against free market’ and also ‘over regulating’. This change in stance is certainly not helping the already soft property market this year. 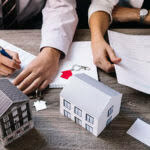 With the implementation of GST a few months away, most property investors are holding back with the “wait-and-see” stance before making any moves. Foreigners have already been slapped with strict property buying regulations back in Budget 2014. Find out how the new RPGT affects them.